The clinical staff of Chapel Hill Pediatrics is always on-hand to provide additional services and help to our patients. Our clinical staff includes a team of pediatric nurses, as well as our on-site medical lab technicians. 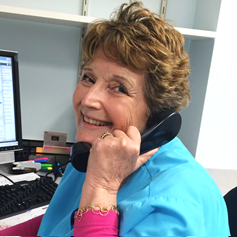 Marilyn H., RN has lived in North Carolina since 2011. She was born in Gaffney, South Carolina and graduated with her BSN from Mount Carmel College of Nursing in Columbus, Ohio. Having worked in a variety of nursing specialties, she found she truly loves pediatrics and adolescents. Currently she lives in Chapel Hill with her husband, three children, and several pets. When not working, she enjoys traveling and spending time with her family. Margaret, RN lives in Durham with her husband of 30 years, her large black standard poodle named Simon and two cats. 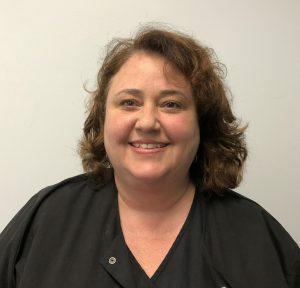 She and her husband have a grown son and daughter who enjoyed many years of being patients at Chapel Hill Pediatrics with Dr. Kathy Merritt. Margaret is a true blue Duke basketball fan and going to the games and cheering for the Blue Devils is a favorite pastime. In her spare time, she gardens, travels, and is learning to play golf. 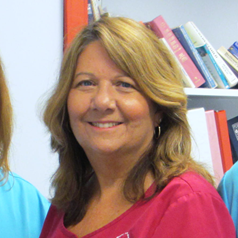 Robin G., RN has been a nurse for 38 years. The majority of her nursing career was spent at Durham Regional in the full term and special care nurseries. She has lived in Durham her whole life except when she went to college in the mountains of North Carolina. When Robin is away from work she enjoys spending time with her 2 dogs, gardening, reading on her front porch, and visiting the beach and the mountains with friends. Our experienced laboratory technicians administer a few, specific in-house medical tests, including strep throat and influenza tests. This creates a fast turn-around to quickly get the information needed to provide our patients with the appropriate treatments and healthcare. Franz M., MLT moved to the triangle area in 2001 from Louisiana. 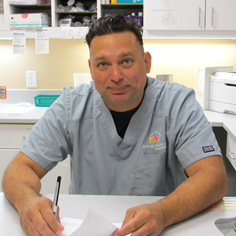 He brings with him 17 years of experience working in various types of medical facilities. He is currently a sergeant in the North Carolina National Guard. 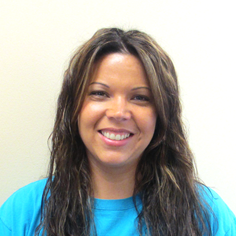 Brianne F., LPN, EHR Specialist lives in Apex with her family. She enjoys spending time with her family and friends, boating on the lake and going to the beach.